sometimes the weather gets in the way of a portrait session. most the time, i can work with it. in fact, most the time, i welcome the challenge. but usually, the client has a vision and a change in the weather means a change in the date of the session. 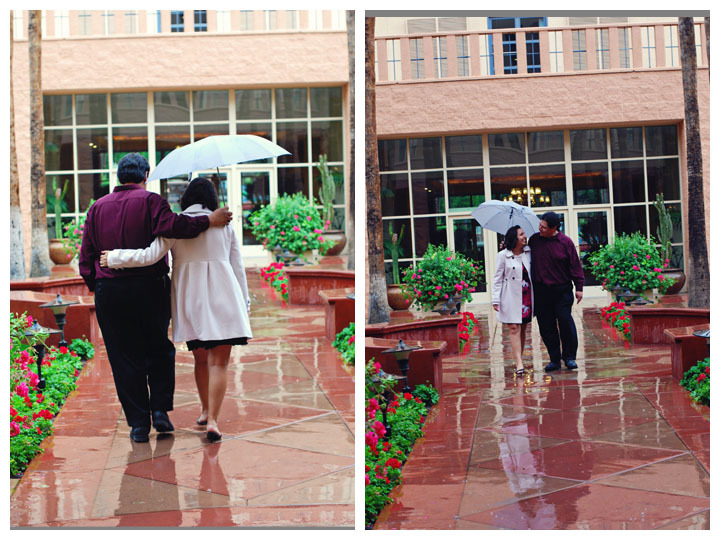 so, how happy was i that this couple was as excited about the rain as i was! Stephanie, you rocked this cute pea coat! i think the rain offered us a little romance. and downtown Tempe has some fun vibrant character!